Apparently techlauve.com was hacked sometime in the last few days. Upon pulling up the site this morning I was greeted by Arabic music, Arabic text, English text declaring that I had been hacked, and two pictures: A middle-eastern man pointing a gun at a woman and child, and a picture of a sniper kitten. Awesome. I logged in to my web hosting control panel’s file manager to have a look around. It would seem that the hacker was able to exploit a well-known security vulnerability in WordPress. My wp-config.php file was full of garbage. This not only prevented the site from being viewed (and displaying the wonderful “you’ve been hacked” message), but also prevented me from accessing the wp-admin site. I renamed my wp-config.php to wp-config-hacked.php. At this point the hacked page was gone, but the page just showed a database error. I realized that the hacker had probably changed my password. Great. I set a new password for my database user in both my hosting control panel and in the wp-config.php. 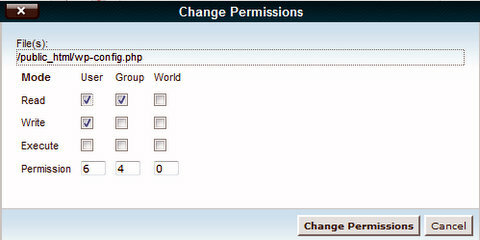 From phpMyAdmin, I clicked on the database associated with my WordPress site and edited the wp_users table. I typed in the new password in the user_pass field, set the function column to MD5, and executed the command. Checked again and everything is up and running! What Happened? How can I prevent this? There are other ways to secure the file, but this was the one that I chose. I also backed up the file structure of my entire site as well as all of my WordPress databases and exported XML backups of WordPress from within the dashboard.